Hello friends! 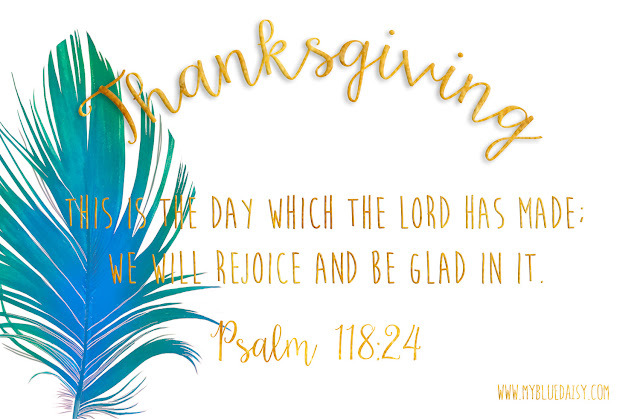 Thanksgiving is almost here; are you excited? I love this time of year! The evenings start earlier and the weather is cooler. I look forward to evenings at home in front of the fireplace with all the family around. I look forward to big family meals, to Advent and to decorating the home. I'm not so great at decorating, but I love trying anyway. My favorite Thanksgivings are the ones we get to stay at home. I love traveling to visit family, but traveling with ALL the family favorite dishes, even traveling across town, is quite the endeavor. So it's a special treat to be at home and be able to cook all our favorites in my own kitchen. Since my children have food allergies, traveling withOUT our own food isn't an option. I can't quite imagine expecting even our closest family to manage our food allergies for us. Each of my children have their own favorite dishes, many of which are only prepared at Thanksgiving and Christmas. So twice a year, I make a huge meal plan, and cook everyone's favorite to be served at the Thanksgiving and Christmas table. Below is the list of what we are preparing again this year. Note: my children have different food allergies. What one child can safely eat, another cannot. So if this list seems like a crazy hodge podge of foods, rest assured it really is and it fits us perfectly. I will note which recipes contain dairy and eggs. All recipes are gluten-free. Some are grain free entirely. Every recipe, except the actual potato dishes are potato free. Also note that we consume more sugar on Thanksgiving and Christmas than we do the entire rest of the year. ;) While we do our best to keep processed sugar to a minimum most of the year, including skipping out on Halloween and Valentine candy, Thanksgiving and Christmas I make our favorites and we thoroughly enjoy them without guilt on those two days a year. Turkey with Gravy - yes, gravy! Its a gluten free Victory to have gravy. Now how does all this happen in one kitchen, prepared (mostly) by one person? A LOT of planning. I even have to plan out what meals will be prepared in one pan/dish. When we first found out about our children's food allergies, we pitched most of our cheap cookware in exchange for better quality stainless steel. Not only does teflon cookware contain toxins that can be released into your food, but it also can hold onto allergens/proteins and lead to cross contamination. Because of cross contamination, most of my stoneware had to go also. I was able to keep my cast iron pans and simple strip those down and recondition. As we replaced and decluttered our old cookware, I kept the new pans to a minimum. That makes it easier to maintain and store my cookware, but it can make Thanksgiving and Christmas a bit challenging. I can manage this with careful planning, though. The prep work will start on Monday and the cooking begins on Wednesday this year. This year we are having a small family Thanksgiving dinner on Thursday with a larger family gathering on Friday. I cannot wait to see our family!! Now for recipes. I will start adding those in here one by one throughout this week. For all those who are just starting on the journey of food restrictions, I hope this helps! !